I see Mat Wolf of The Register-Guard didn’t have much better luck than I did getting an answer from Eugene Police about what the hell is going on at Broadway and Olive. First there were the old junker bikes locked up to keep undesirables from loitering on the railings and offering to sell you weed. They were removed — the bikes, not the undesirables. Although I haven’t seen the undesirables lately either. 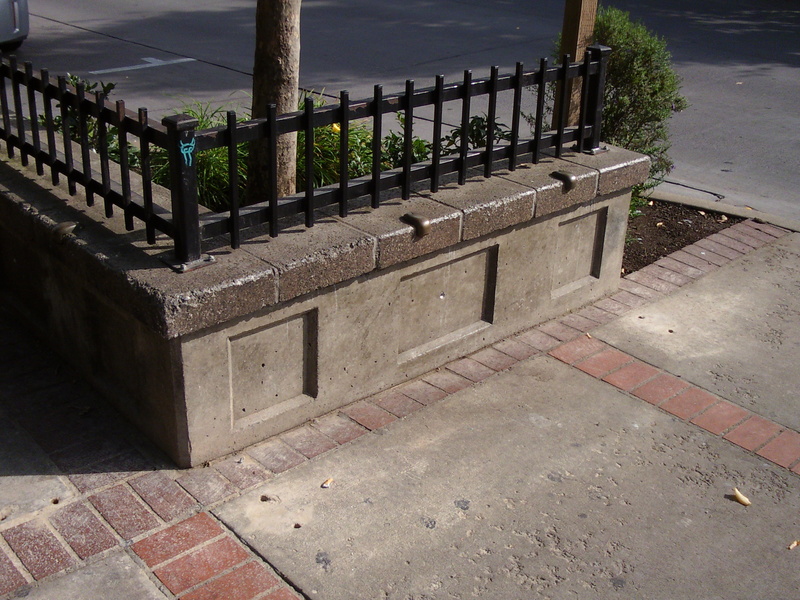 Then EPD installed eight “wave” bike racks, two on each corner — for both bike parking and keeping undesirables away. The next day, five of those wave racks were gone. Nothing left but little holes in the concrete. I got no response from EPD public information officers yesterday, but that’s what I get for comparing them to Labrador puppies in that earlier post. Eugene’s bike-pedestrian coordinator, Lee Shoemaker, said he didn’t know what was happening. 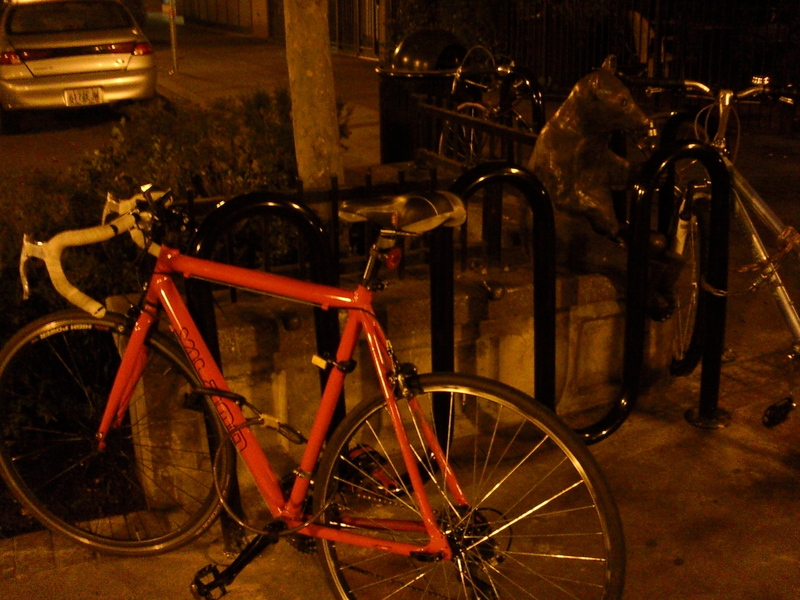 But I was out there late last night and was happy to see some actual bikes parked in the remaining new racks — not abandoned bikes, real bikes. But we’re belaboring this. And frankly, I can’t keep up these fast-moving developments. Time to move on. BTW, on your picture of the bike rack notice the typical poor placement of the rack: it look slike the thing is installed so close to the wall that cyclists can only park their bikes in the end slots (at least if you want to use the rack as the designers intended). It’s typical of the clueless way Eugene does bikes: throw up something, anything, put up sharrows where they are confusing and unnecessary (University between 18th asnd 13th), throw a bike rack up and who cares if it is properly installed for proper use. Everyone should do their job well. Others may regard bike racks as a nuisance, but certainly not to a bike enthusiast like me. I’m hoping for the best resolution.